Use a tripod and a cable (remote) release cord or infrared remote to trigger your camera. This will prevent camera shake. Pre-focus your camera. It’s really hard to use autofocus in the dark, and fireworks happen quickly. If you know where the fireworks will be launched from, try focusing on that point when it’s still light. Alternatively, you can try focusing on the fireworks early in the show. Once your camera is focused, set the camera to manual focus. This will allow you to capture pictures in the dark, even if your camera is set to focus priority release mode. Use Manual Exposure. In the dark, your camera won’t be able to meter properly, so set a manual exposure. 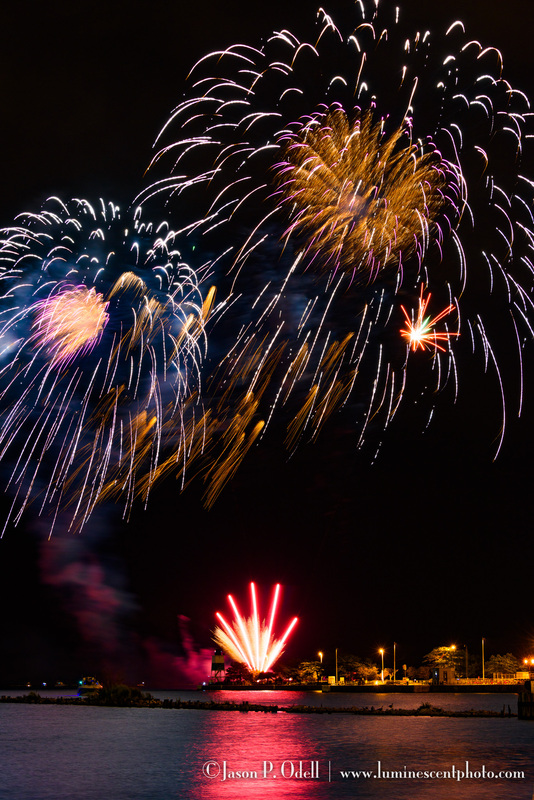 The key to good fireworks shots is to use an exposure of several seconds. Start with a 3-second exposure at f/8 and ISO 200. Don’t use auto ISO or program exposure modes. You can vary it from there, but as long as you’re close you can fix minor flaws in post-processing. Set White Balance Manually. I set mine to 3450° K and got good results. Post-process to perfection. If you capture your images in RAW format, it’s easy to make high-quality adjustments to color and contrast. In Adobe Lightroom, try using the Dehaze slider located in the Effects Panel to add contrast to dark skies. 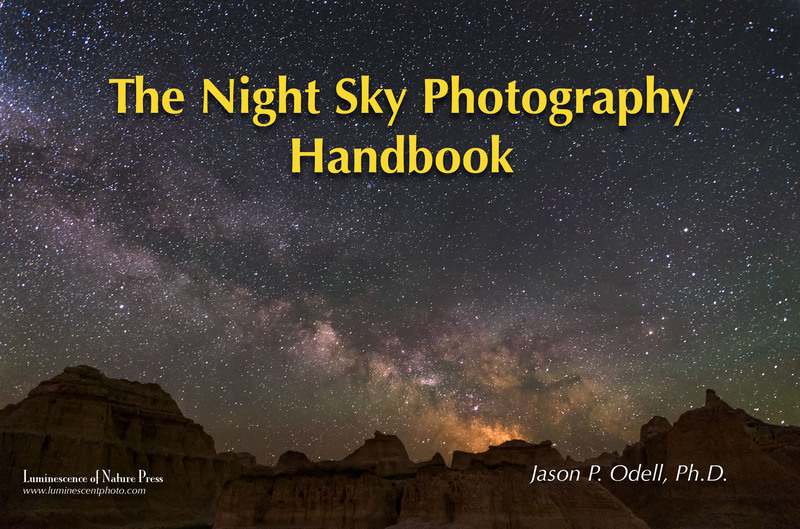 For even more tips on capturing digital images at night, be sure to check out my printable eBook, The Night Sky Photography Handbook. A few years ago, i learned of a technique to change the focus while photographing fireworks. Cool images! Thanks for sharing.